We get questions daily about buildings blocking views, balconies overlooking neighbours’ bedrooms, building approval without neighbours’ consent, developers not putting in correct storm-water drains; complaints that the neighbours wall is on “my” property; the list goes on and on. People also want to know who they can contact to find out what the situation is, who approved the plans (if indeed they were approved), and how and why their neighbours are “getting away” with these activities. The good news is that there is a law in South Africa that was published in 2000 – The Promotion of Administrative Justice Act, 2000 (Act 3 of 2000) – that was promulgated to protect you. This piece of legislation is not well known, and it is there essentially to ensure that the government (and all its departments) act in a fair way when decisions are taken that might affect any individual. It is your basic human right to have just, fair and equitable administrative action. The South African Constitution guarantees that any action taken by any administration in South Africa has to be reasonable, lawful and must follow procedures. It must also be fair in relation to all concerned. ‘Parastatals’ such as Eskom and Telkom. 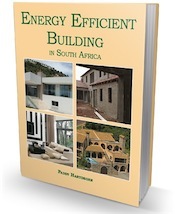 We will refer to those that deal with building regulations and the building by-laws in South Africa. Allowance has also been made for anybody to ask for an explanation from any of the government or municipal departments regarding why they made a certain decision. You also have the right to request reasons as to why a certain decision was made that negatively affects you. The law states that it is your right to ask for reasons and they cannot refuse you this right. It is important to note that these requests and replies should all be done in writing. If you are given verbal response it’s you prerogative to accept it, but if you aren’t happy, you have every right to demand that it is given to you in writing. Of course it is always best to have this type of thing in writing, particularly when there is a substantial dispute. 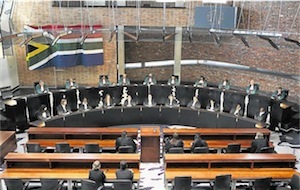 The PAJA addresses the fact that if after reasons have been supplied there is still disagreement. If this is the case, then provision has been made for a review of “the administrative action” by a court or a tribunal. I want to request reasons for what has been allowed—What do I do? Firstly and most importantly your request must be in writing. State clearly, with reference details, which decision your request is for. Next say why you think the decision that they made is wrong. You must include all your details including your full name, postal address, email, telephone/cellular phone contact details and/or fax number. Your letter can be sent by post, fax, email or delivered by hand. Make sure that you send faxes or emails to the correct address or number. It might be best to deliver your request so that you get a signature and proof of delivery. If you do deliver by hand, get a signature and full name of the person who takes the letter, and include the date and time next to the signature. How will they respond? What reasons will they give? They must not try to persuade you that their decision was the correct one. What they must do is give you a clear reason why and how they reached their decision. All your questions that you asked must be answered. How long will they take to respond? They must give you a satisfactory reply within 90 days of receiving the request. Can they tell me the reasons over the phone? All reasons should be in writing, unless you accept reasons given to you verbally. If not you have full right to ask them to please put their response in writing. What is the appeal process? How does it work? There are a few departments that have the facility for an internal appeal. If the department you are dealing with has such a procedure then you have to use this first before you can consider further action. Again you will have to put your demand in writing and say that you are not satisfied with the reasons given to you up until now. Then you request that the matter be taken to the relevant appeal section. The next step is to go to court. If you are not satisfied with the reasons given to you by the appeal division, or if there is no appeal board, then you can take the matter to court. You must ask a court to review your case within six months of the internal appeal, or if there is no internal appeal, within six months of the decision. Unfortunately though the court review can be costly. Are there any other cheaper options? The internal appeal (if there is one) is usually free. You can find out who the Minister is, and who is responsible for that department, and write to him/her and explain your problem. There are quite a few non-government organisations (NGOs) that you could ask for help. These are usually free. Paralegals are there to assist people in awkward situations. There are legal aid boards and justice centres in most of the major centres that will assist you free of charge. You can ask the legal aid officer at your nearest court to arrange a lawyer, free of charge, to assist you. You can also call the legal aid board on 021-481 2700. We are an apartment block. Directly bordering us is quiet a big area that is currently being converted to about 150 small residential units including an exisiting warehouse opposite our block that is also planned for residential conversion. 1. The Warehouse is 1.5 meters form the border and directly oversees our first 2 floors. Is this legal at all? 2. As they will be converting it to residential units, the unit’s windows will now directly overlook our building and be in very close proximity. Again, is this legal, or is this the kind of thing that requires our approval first? Hi Avi, On the face of it yes approval should be obtained from the neighbours. As you are an apartment block you need to check with the management of your block if they have given their approval. You must ask them to put in an objection to the council planners. Hi Steve, The times are set out on our page “Site Operations Part-F” Just click this link to go straight to the page. My neighbours sold their unit and the new owners wish to renovate. I bought my unit which extended a room over the existing garage. The room was required by the complex to have a balcony which rapped around the room ( an asthetic issue for the complex). My neighbours wish to do a similar extension but have two rooms and a bathroom added. This means it no rapp around balcony and i feel asthetically will become a negative feature to my property and reduce my value. The units are too small for this type of addition. What are my rights to refuse and ask them to maintain the same restrictions of my unit? It sounds as if this may be a sectional title complex in which case you probably need to talk to the body corporate. If you had to do certain things when you did extensions, chances are your neighbour will need to as well. And you can always object. We have a double garage on our property that is build on the border with our neighbours. Both neighbours gave consent many years ago for the garage to be build and the plans have also been approved by the municipality. The whole garage consist of the double garage as well as a work/storage room and a bathroom. It has been standing for more than 15 years. The garage is not visible from the road borders. My parents are not young anymore (past 65) and have a very low income so I thought of converting the garage into a flat for them so they can live with me so that I can take care of them. Will this be possible and if so what do I need to do to get the ball rolling? You are changing the “occupancy” of the room so plans will have to be submitted. A registered electrician will also have to give you a COC when he has finished. The council will need to inspect any sewage waste pipes from the bathroom if a toilet is going to be installed. This alteration may also require a Town Planning application as a Subsidiary Dwelling Unit is being created. The requirements for these “granny cottages” differ depending on the Town Planning Scheme so it would be wise to contact your Local Authority Town Planning Department to confirm if any Town Planning application is required and if so, which one. In addition one should check the title deed to ensure there are no restrictive conditions therein,. If there are they would have to be removed by way of a “Removal of Restrictive Condition of Title” application. Hi There , Kinldy assist . Someone has purchased the property behind mine . The property has no road access only a lane that leads to it . The owner is trying to get a piece of my property to extend the lane width to make a roadway . Will the council allow this . What can I do to prevent this . The council cannot just take land unless the boundaries or servitudes allow them to do this. The best is to go to the local council and get a copy of your siteplan and find your boundary pegs and see where your property starts and ends. You can also check the deeds of your property to see if there are servitudes registered against the property.